Freelancing has become a trend nowadays. Even if you are doing a full time job, some people might still manage to take their time off to get freelance jobs in freelance sites like Upwork or Freelance.com. However, with the amount of people using the world wide web, it can take a while till you crack your first job. Bid on projects that you can REALLY do. Pick an area of interest where you are 100% capable of doing the job. Don’t just start bidding on random things and then be stuck upon “how to finish that job”. Remember your aim is not only to get the job but also to impress the client. Create a full profile, upload your portfolios, write out the certifications you have if any. While the profile might not be a crucial factor in determining whether you will get the job or not, clients would still like to know some background about you. This is the most crucial part. Here is where you have to win the trust and confidence of the client within seconds or minutes. Don’t create a lengthy newspaper type proposal stating that you have done wonders. All the client wants to know is “whether you CAN do that job or not and in how much time“. Believe it nor not, when I used to bid on freelance sites, sometimes I used to get jobs by posting even this “I am not going to waste yours and my time describing my life history so let’s begin and get this done within an hour :)”. DO NOT send a copy-pasted generic proposal, you will be refused in 2 seconds. 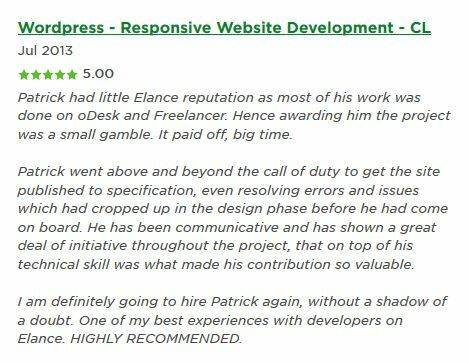 It’s always good to start with a low price and try to get some jobs so that you can have some reviews/star ratings by those clients. Not all clients are willing to pay a huge amount of money to get their job done. They might be interested in your proposal if they see you are starting new and offering a lower price than the others. You can increase your prices as you progress. 80% of the time the clients are MORE interested in proposals coming within 1-2 minutes of job posting. If they have a quick job, they would want to get on with someone who has bid first and who they think can do their job. Again writing a short and to the point proposal will help where you can specify that you can finish that job within a certain time. If the client replies to you and asks some questions, always respond them immediately. If you are really serious about getting a freelance job, leave the world aside for 10 minutes and talk to your client, just like what you do in real life also. Make sure you remind the client to post a review about you once you finish that job. Most clients forget about posting a review and then it’s very difficult to get hold of them to write a review about you. Last but not the least, do what you have promised to do. If you have proposed to finish the job within an hour, make sure you DO it. Happy bidding and happy freelancing !